We love to make our own Christmas Ornaments. 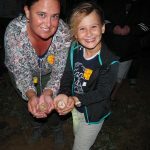 There’s something so special about pulling them out each year and remembering those special times you had creating them with the kids! 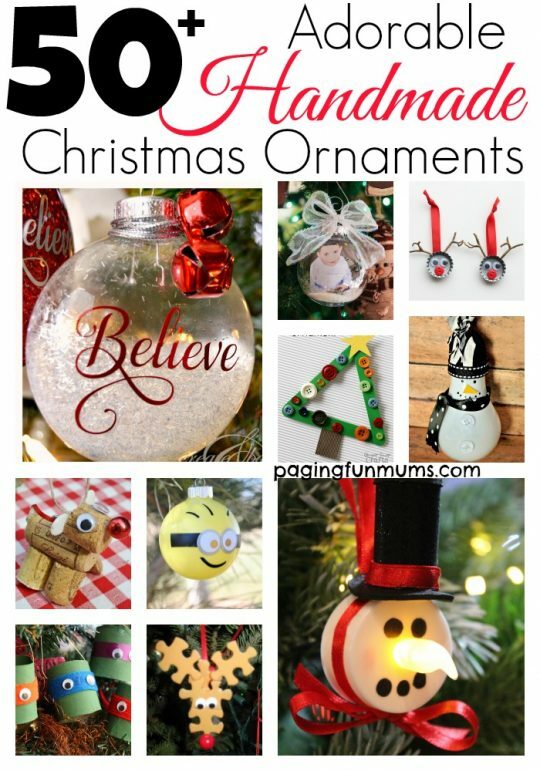 We’ve collected more than 50 adorable Christmas Ornaments that you can make at home with your kids! Enjoy! 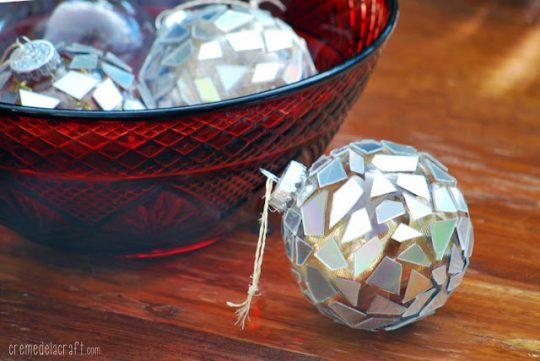 These Sequin Ornaments are super sparkly! Totally gorgeous! Head here for the instructions! 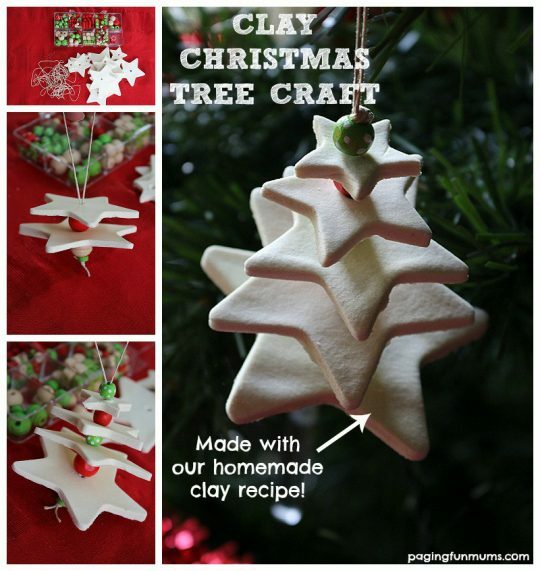 Made from Homemade Clay these Tree Ornaments are too cute for words! Click here for the DIY details. 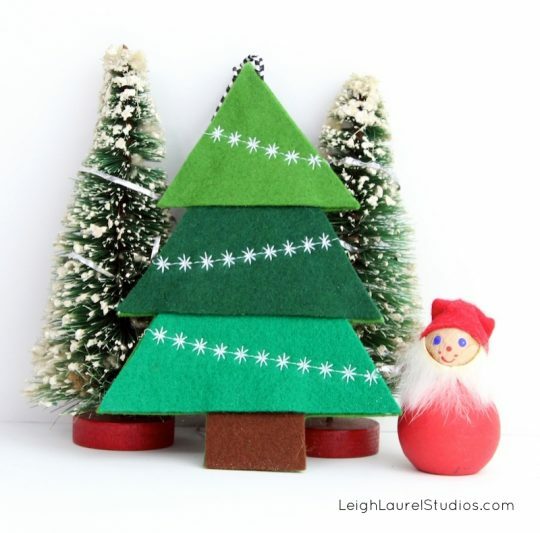 This Felt Tree Ornament is so cute, I want to cover my entire tree in them! Click here for the instructions! 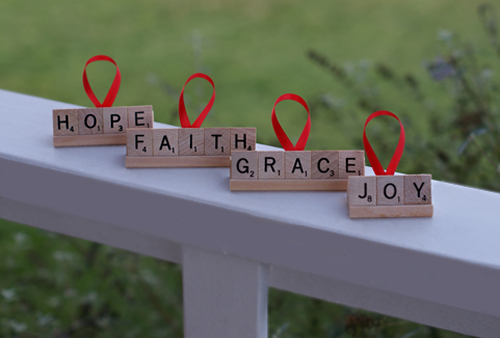 These Scrabble Tile Ornaments are a great way to personalise your decorations! Head here for the details. 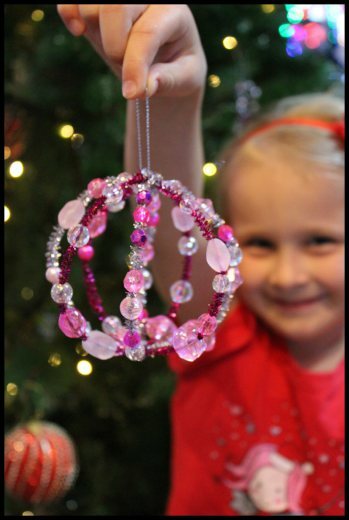 This Beaded Bauble doubles as a fine motor skill activity too! Click here to learn how to make yours. These Crepe Paper Angels are so majestic! Just gorgeous! Click here to make yours. 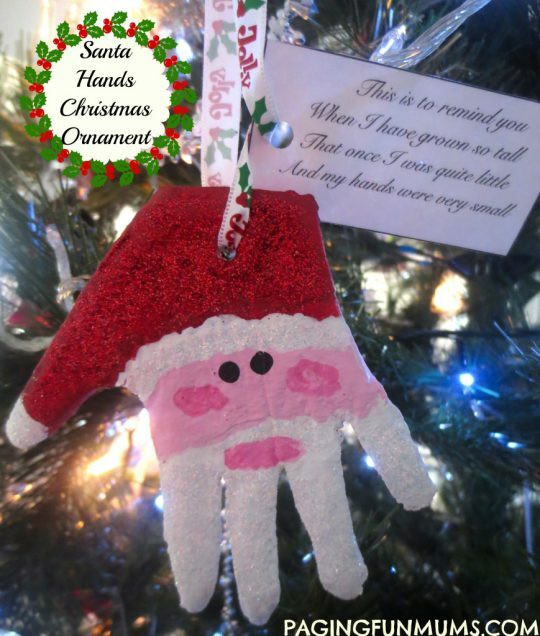 You could make a set of these Santa Hand Ornaments every year to chart your child’s growth! Gorgeous! Head to this link for the instructions. Oh the cuteness! These Peanut Character Ornaments are made so cheaply you could make 100! 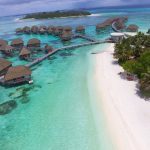 Head here to learn how! 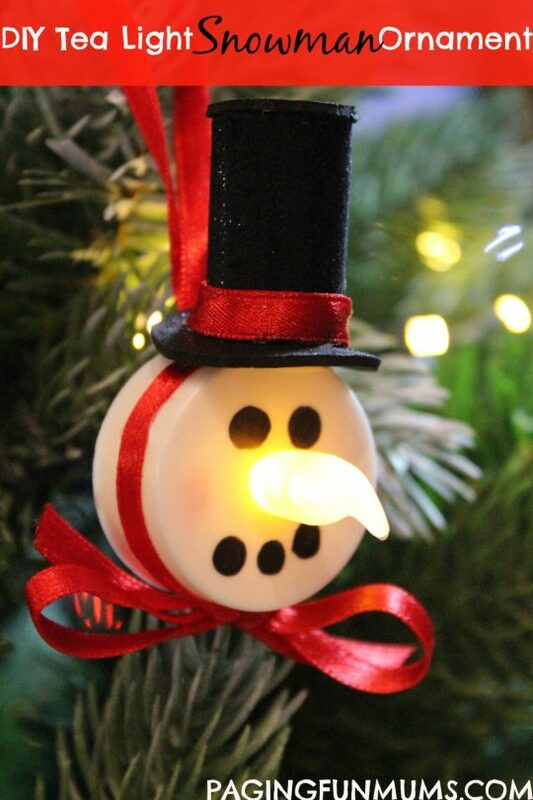 You can turn this Tea Light Snowman Ornament on or off! Soooo cute! Head here for the DIY details. 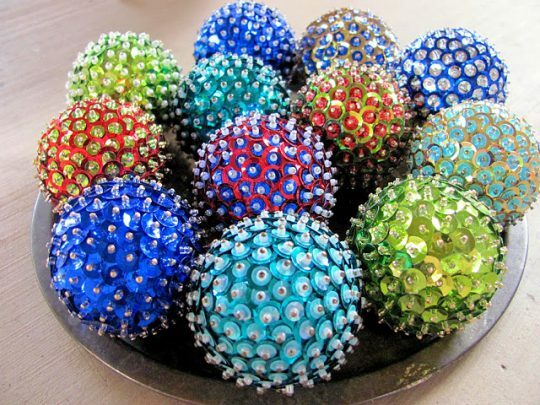 Use up those old CD’s to create these beautiful CD Mosiac Baubles! So sparkly! Head here to learn how. 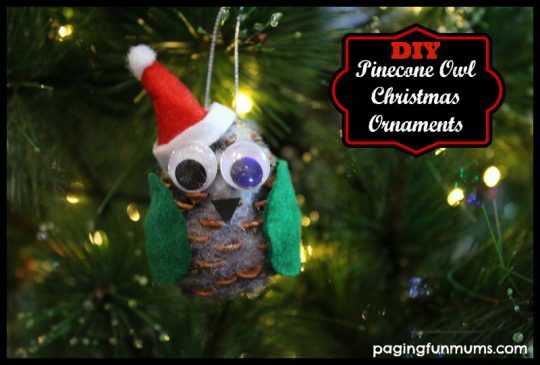 Make these adorable Pine Cone Owls with only a few materials! Click this link to learn how. 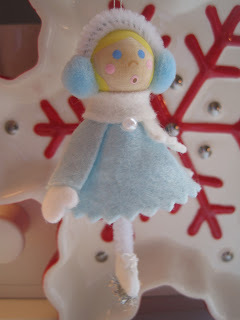 This Skating Girl Ornament is beyond cute…and quite easy to make! Head here to learn how to make yours. These are just beautiful! 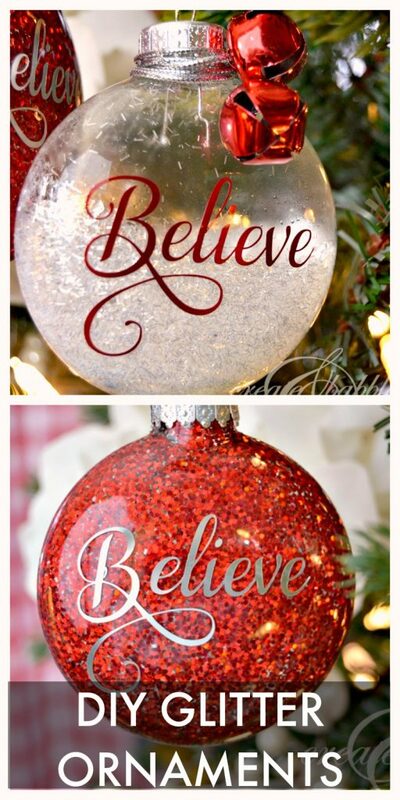 Every tree needs some sparkle and these Glitter Ornaments do not disappoint! Click here to learn how to make your own. This precious little Light Bulb Snowman is as simple to make as he is adorable! Head here to learn how to make yours. How cute is this Wish List Ornament! 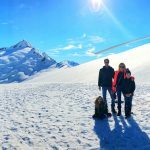 You can record what your children ask Santa for year in and year out. Click here to learn how to make yours. 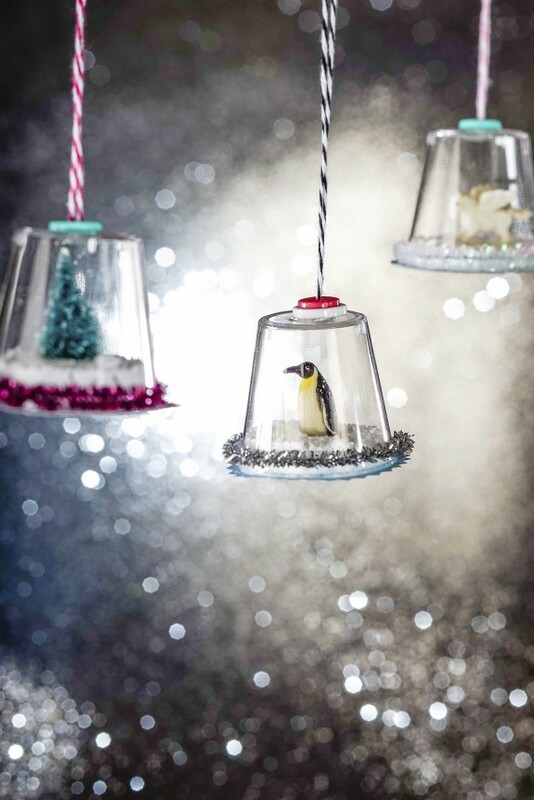 These Mini Snow Globes are made from plastic shot glasses! 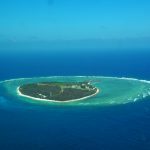 Can you believe that! Head here for all of the details. 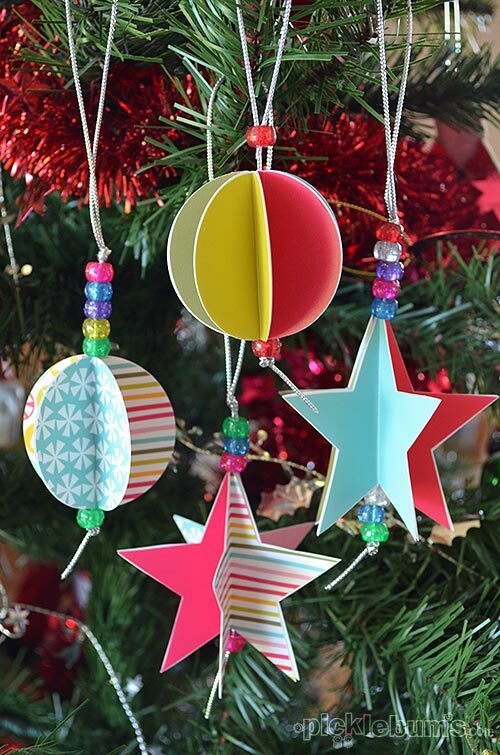 How cute are these 3D Paper Ornaments! 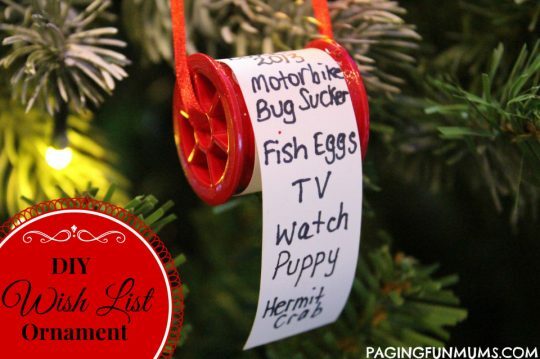 An affordable way to decorate any tree! 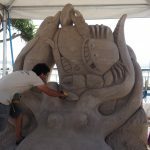 Head here to learn how to make yours! 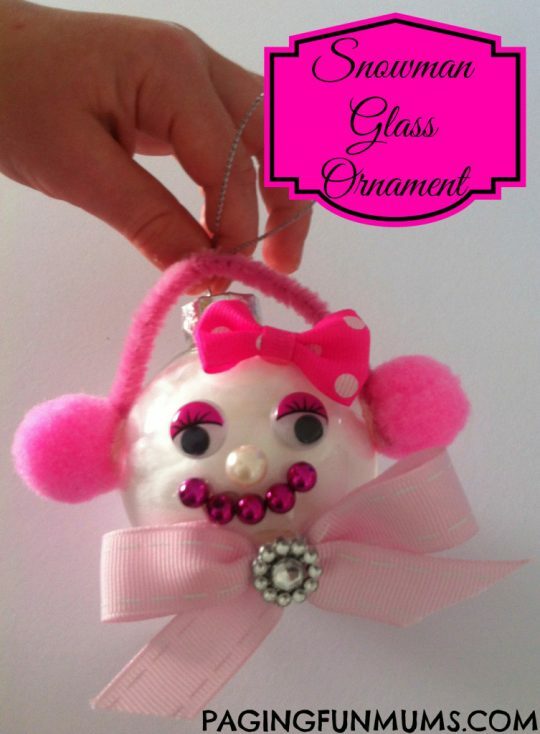 This Glass Snowman (women) Ornament is too cute! Head here for all of the instructions. 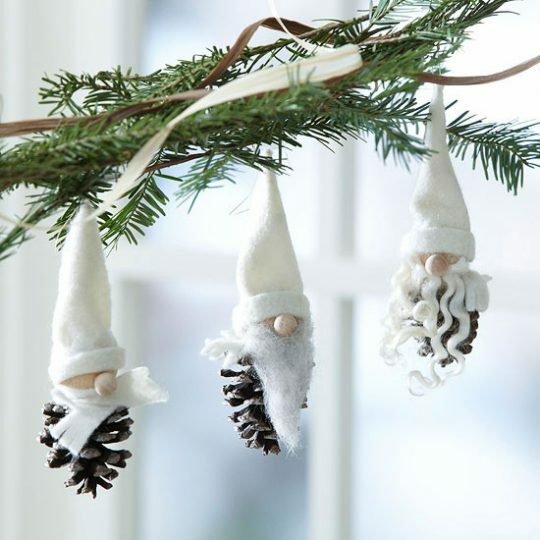 These Pinecone Gnomes are beyond adorable! 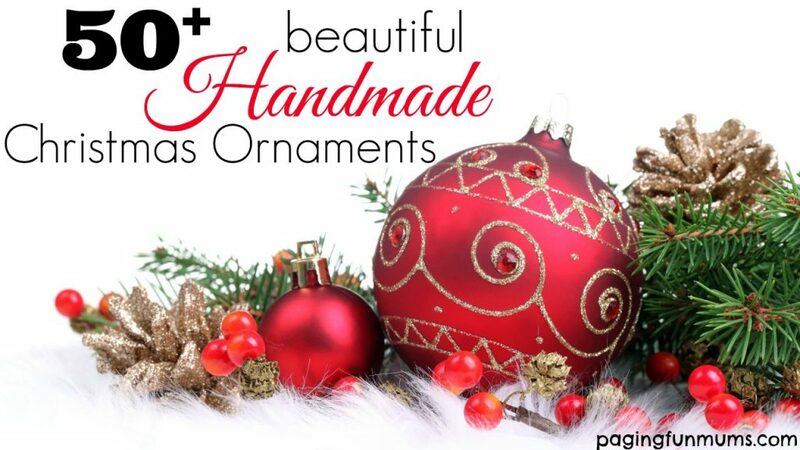 Click here to learn how to make them. Here’s another adorable Pine Cone Ornament. This one is covered with Bling! Head here for the instructions to make yours! Who doesn’t love a Minion? 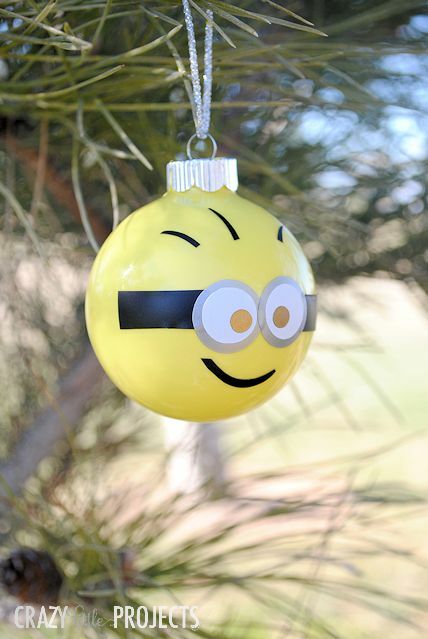 This adorable Minion Ornament couldn’t be cuter. Click here to learn how to make him. 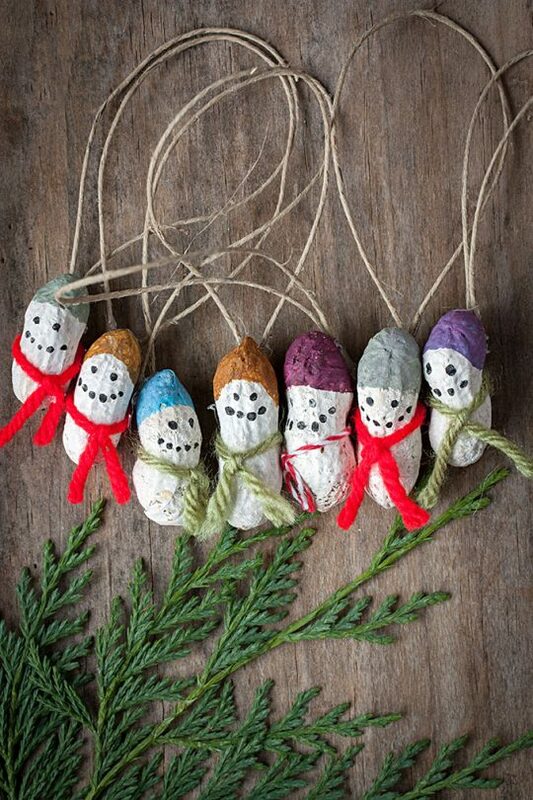 You only need three things to make these adorable Clay Snowmen! Click here to learn what they are! This gorgeous Owl Ornaments are made from a Homemade Clay recipe! Head here for the details! 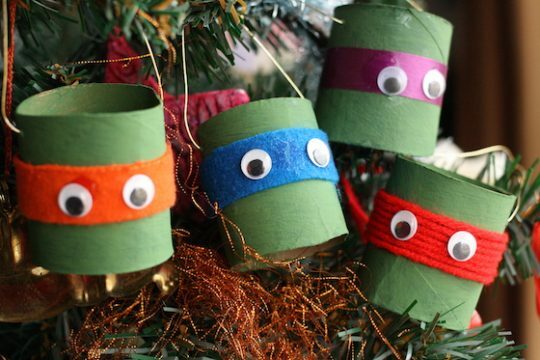 You can make these adorable TMNT Ornaments using toilet rolls! CLEVER! Head here to learn how. 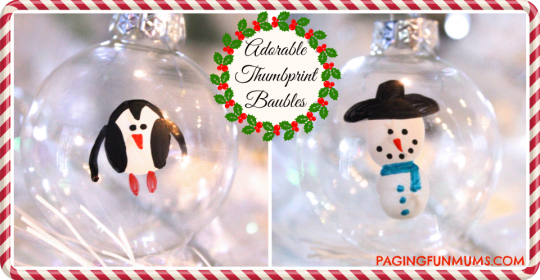 You can make precious Penguin & Snowman Ornaments with little thumbprints. Click here to learn how. 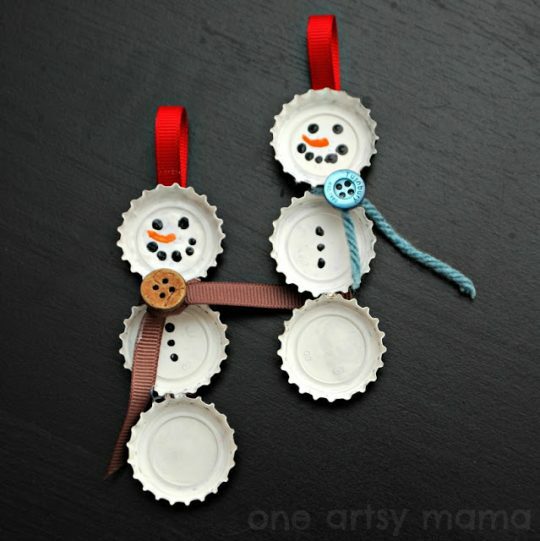 These Bottle Cap Snowmen are so cute and easy to make. Head here to learn how. This is so clever! 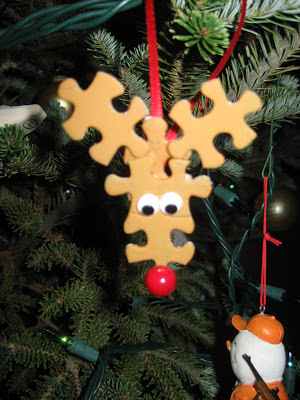 A Rudolph Ornament made from Puzzle Pieces. Click here for the details. 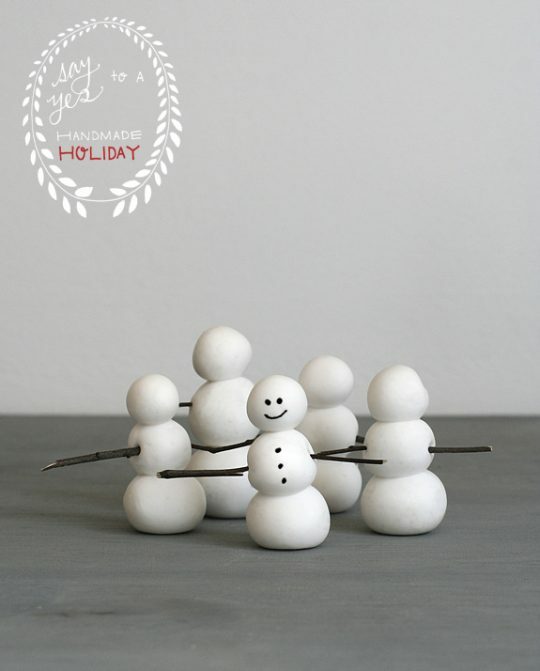 You can make this Snowman Hand Ornament from Homemade Clay too! Click here to learn how. 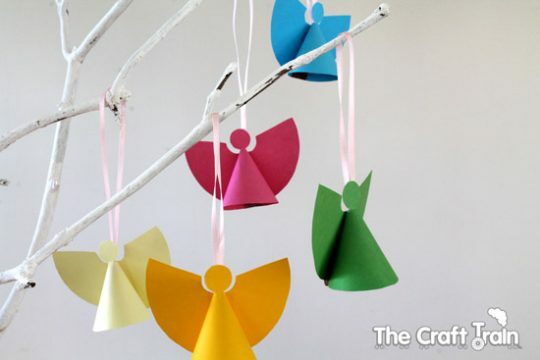 Every Tree needs a Paper Angel Ornament. These gorgeous things come with an easy template too! Head here to get yours. 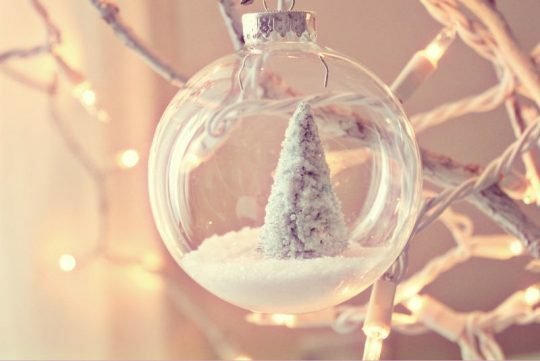 How precious is this Winter Wonderland Ornament! Just so divine! Head here to learn how to make it! Make these little Almond Birds from…you guessed it ALMONDS! So adorable! Learn how here. 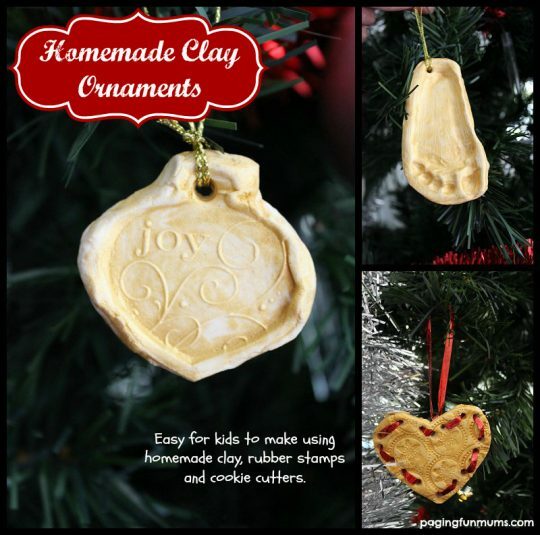 Adorable Stamped Ornaments made from homemade clay! Winning! Click here for the DIY details. Oh yeah! 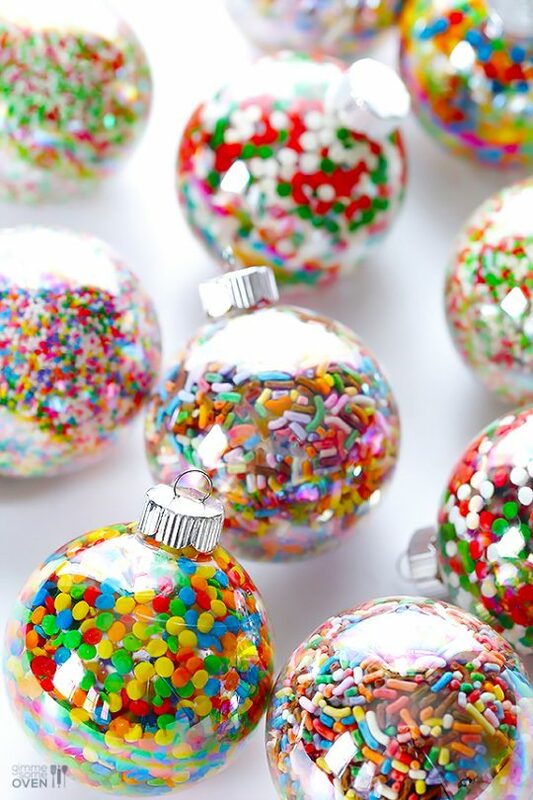 Nothing is sweeter than Sprinkles Ornaments! Click here to learn how to make yours! 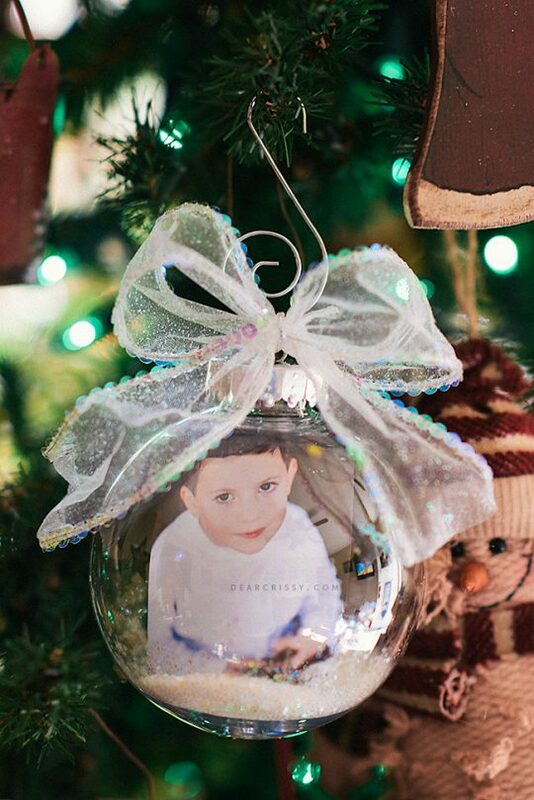 Make a personalised ornament with a photo! 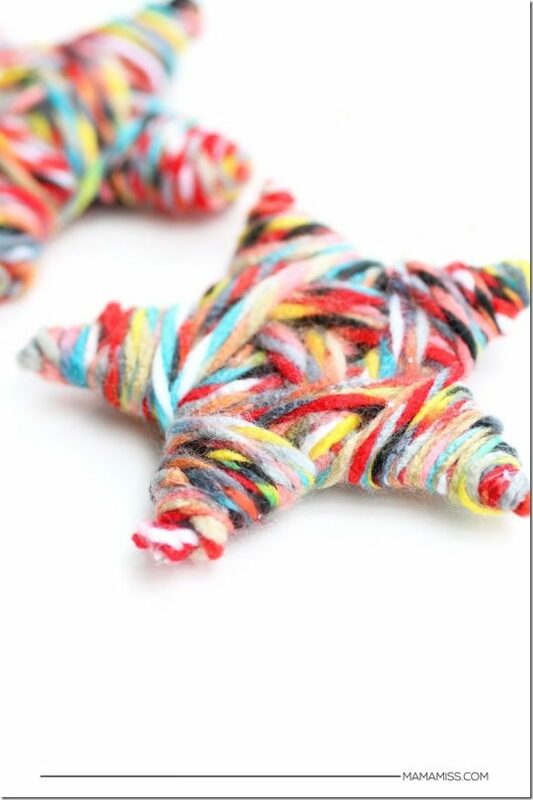 Click here for this adorable craft! 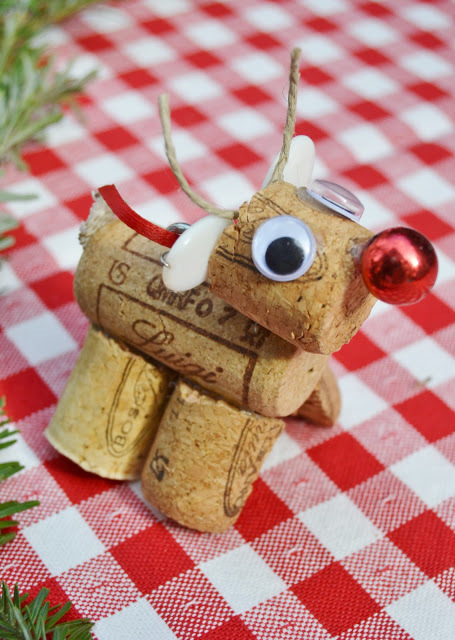 Who would have thought that corks could be so darn cute! 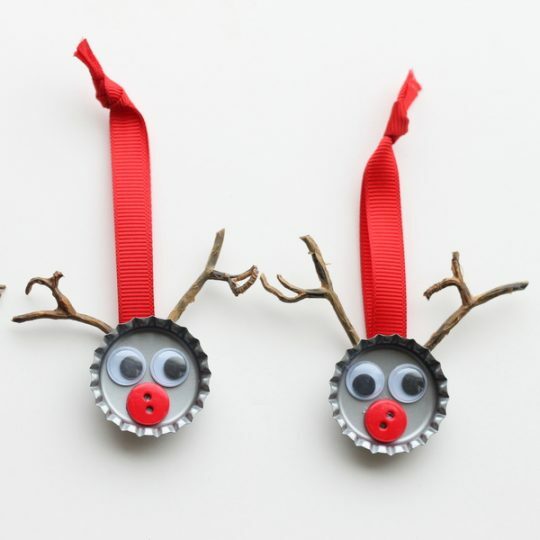 These Cork Reindeers are too cute for words! Click here for the DIY details. 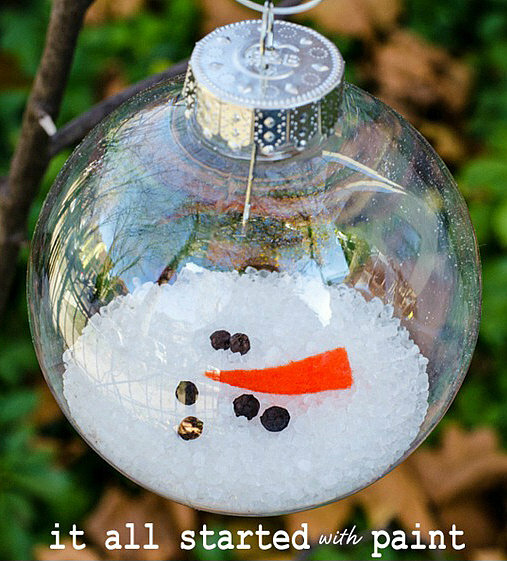 This Melted Snowman Ornament would definitely be hanging on Olaf’s tree! Get the DIY details here. 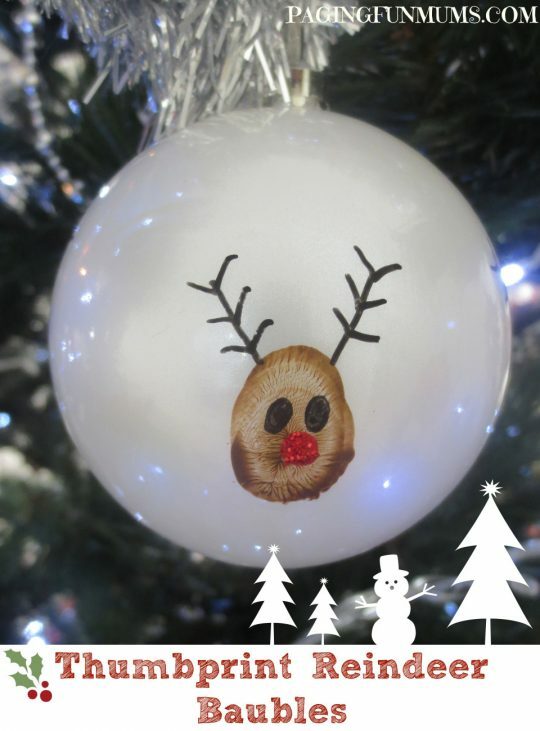 These Thumbprint Reindeer Baubles are beyond adorable! A simple Thumbprint can be so precious! These are easy to make too. 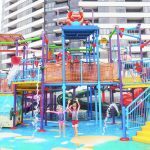 Click here for all the fun details. 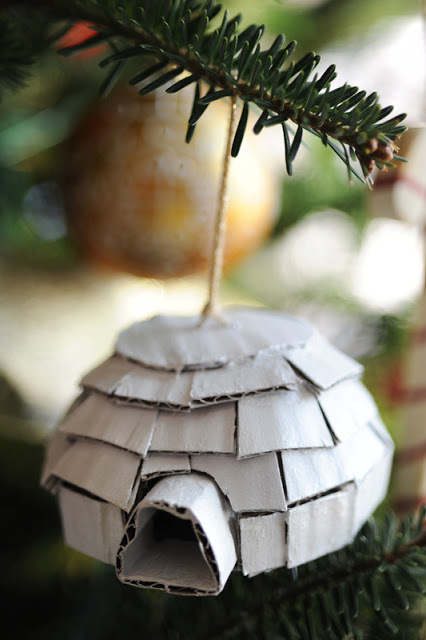 Another simple ornament that is too cute! 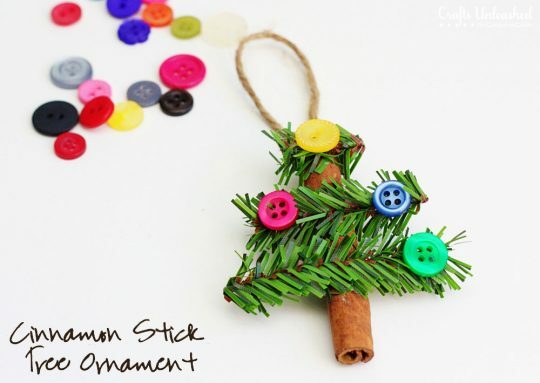 A Button Ornament can be so effective and easy to make. Click here to learn how to make yours. 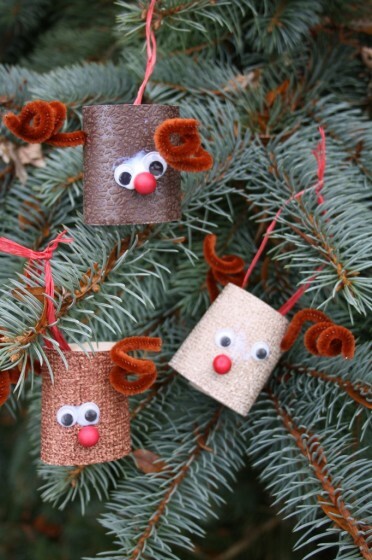 As inexpensive to make as they are adorable, these TP Roll Reindeer Ornaments are a winner! Click here for the DIY details. If you have a Frozen fan in your house, then this ornament is a winner. This Olaf Ornament is super special because you can preserve little thumbprints too! Click here to learn how. 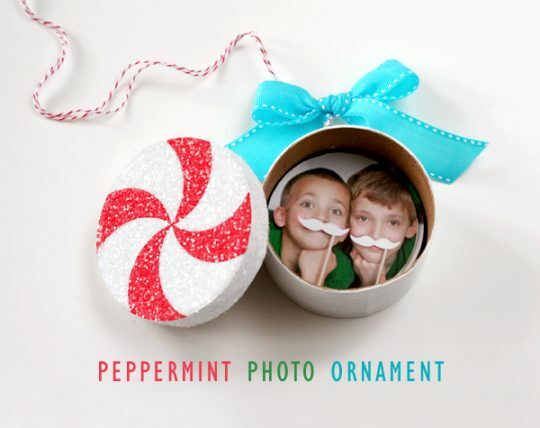 I love this Peppermint Photo Ornament. It’s so creative & adorable! Head here for the instructions. A Teeny Igloo made from Cardboard! How cute & unique is that! Head here for the instructions. 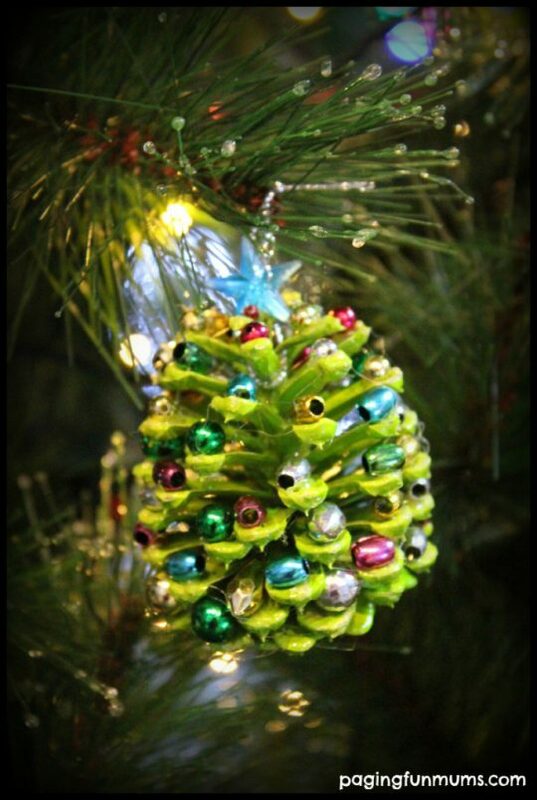 This simple Paddlepop Tree Ornament is a gorgeous addition to any tree. Learn how to make it here. 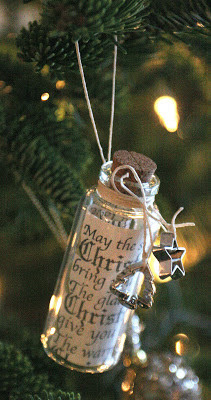 Make a wish and put it in this Christmas Wish List Message in a Bottle Ornament! Get all the details here. 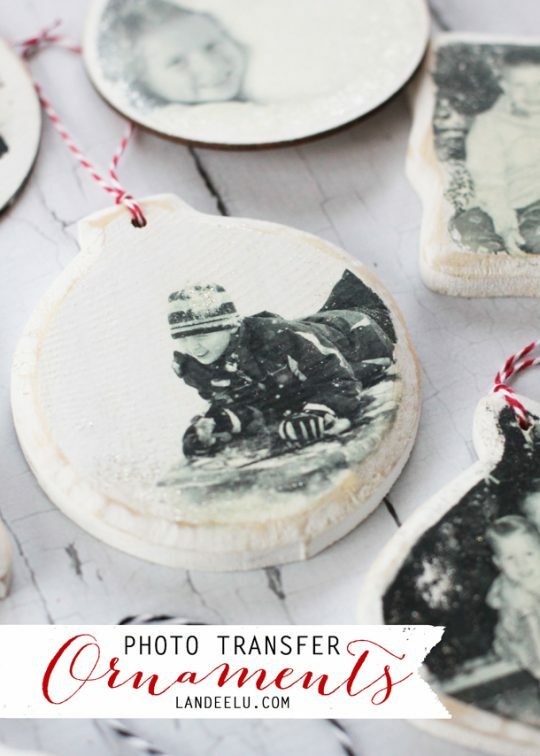 These Photo Transfer Ornaments seem to preciously old worldly! Click here to make yours. 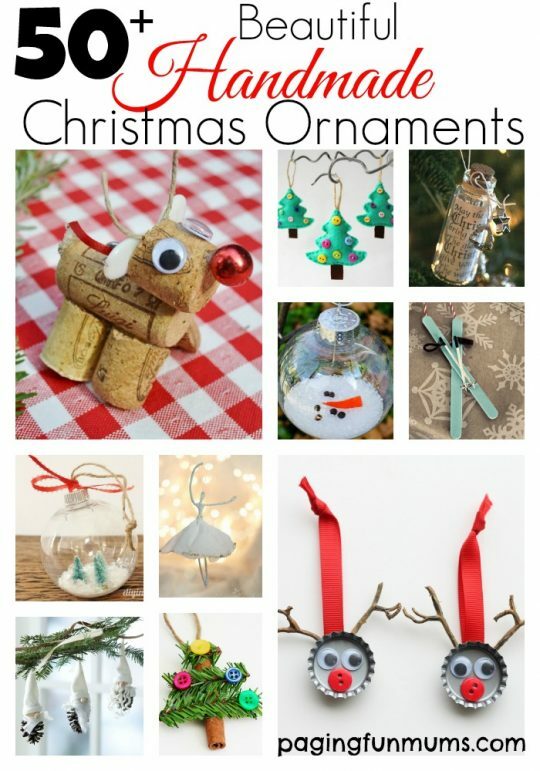 Make these adorable Bottle Cap Reindeer Ornaments easily! Click here to learn how! 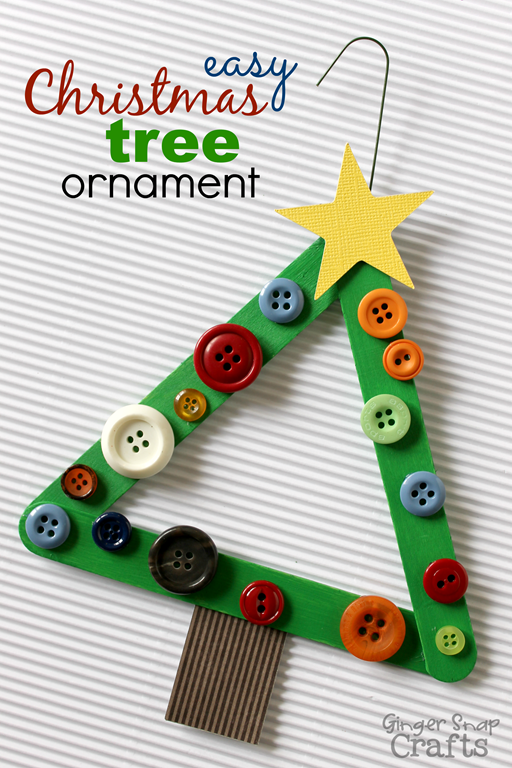 Another Ornament that doubles as a fine motor skill activity for the kids! These Woven Ornaments are gorgeous! Click here to learn how to make your own! This Thumbtack Ornament is so pretty! Super fun to make too! Head here for all of the DIY instructions! 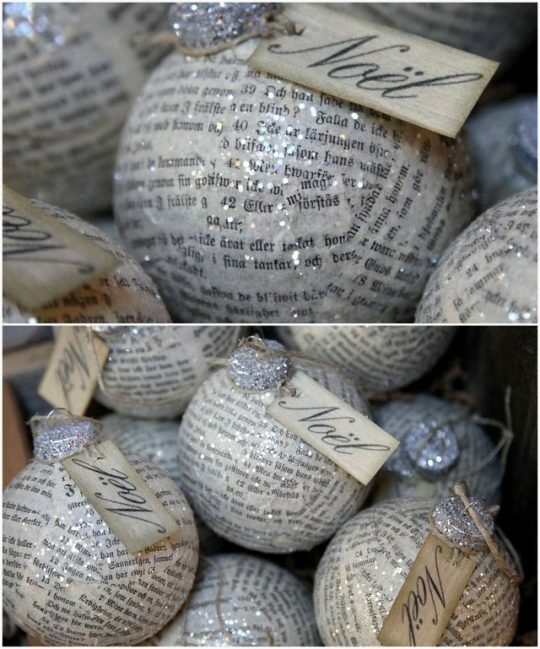 These Decoupage Glass Ornaments have a beautiful Vintage vibe. Click here to learn how they did it! 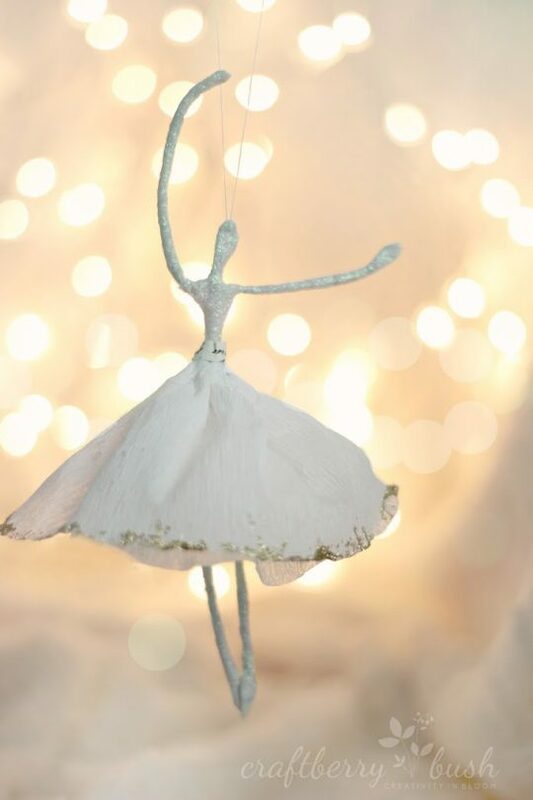 One of the most precious Christmas Tree decorations I’ve seen! These Cinnamon Stick Trees are so adorable! Click here to make your own. 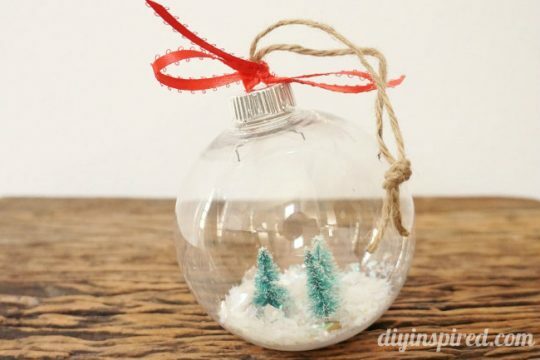 This Snow Globe Ornament is just so darn cute! Click here to learn how to make your own! 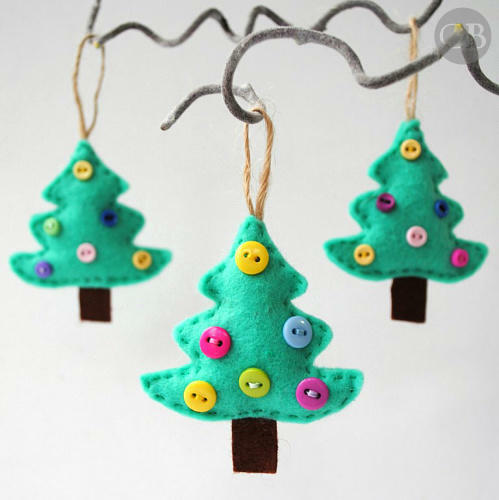 Here’s another precious Felt Tree Ornament! Felt decorations are my favourite! Click here to learn how to make these beauties! 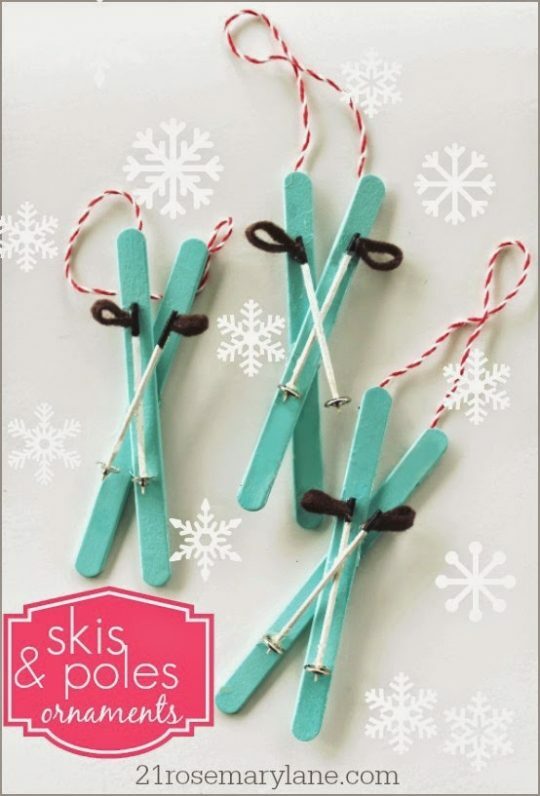 These miniature Ski Pole Ornaments are one of the cutest things I’ve seen! Click here for the adorable instructions. This Snowman Fingerprint Ornament is as cute as it is to make! Click here for the details. 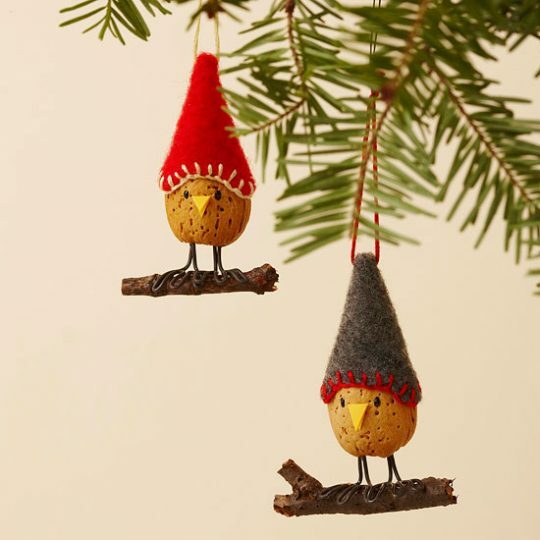 We hope you enjoyed this collection of adorable ornaments! Which one if your favourite? Let us know below! These are wonderful. Thanks so much for letting us use your ideas. 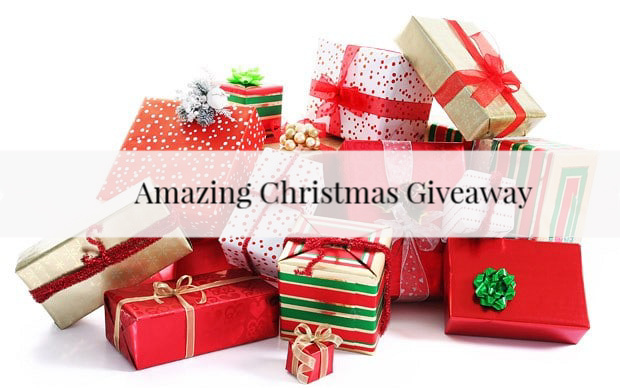 It’s an amazing gift. God bless you all during the Christmas Season and have a Blessed 2019!